We are a leading exporter and supplier of Direct Coupled Diaphragm Seals. We offer Direct Coupled Diaphragm seals of KDS-01 Series. Available in the range S06 i.e., -1 to 0 / 0 to 70 Bar and a standard range S07 i.e., 100 to 400 Bar, these seals have a screwed connection. 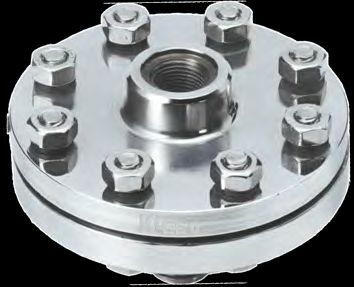 The wetted parts of the diaphragm seals include AISI SS 316, SS 316L, Monel and Hastelloy ‘C’.